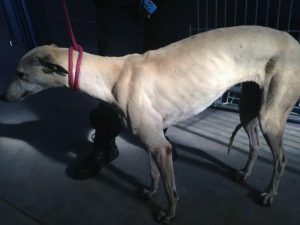 The six alleged poachers who were recently found in possession of 11 distressed greyhounds and poached wildlife have denied that they are the owners of the greyhounds. The men appeared in Atlantis magistrate’s court yesterday. Cape of Good Hope SPCA spokesperson Tara McGovern tells Melkbos.net that the SPCA intends to add an additional charge of ‘denial of ownership’ to the charges of animal cruelty they have brought against the men. 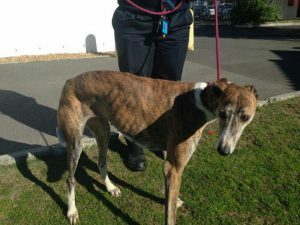 Two of the greyhounds, that were initially described as being in a critical condition, are still in hospital. SPCA inspectors are travelling to Atlantis today to discuss the case with the magistrate. 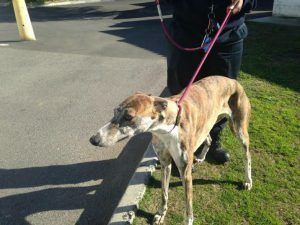 The SPCA has launched an investigation into the men’s history to see if previous charges have been made. The men were apprehended on 10 July when a member of the Melkbosstrand Community Police Forum, travelling along the R27 from Yzerfontein/Darling, noticed an old Isuzu twincab with its load of greyhounds. The member alerted the Melkbosstrand police who intercepted the bakkie on the M19. Initially nine dogs were counted; this was as two were in a state of collapse, lying underneath the others. A poached porcupine and Cape Jackal were also in the bakkie. The SPCA describes the scene in the bakkie. “On Sunday the 10th of July 2016, the Cape of Good Hope SPCA’s Wildlife Inspector, Shaun Giles, was called to the Melkbosstrand Police Station where he found 11 dogs in the loading bin of a double cab bakkie. The dogs, all Greyhounds, were panting excessively amidst the stench of urine and sweat. They were cramped and stressed and were displaying signs of heat exhaustion. The alleged poachers’ next court appearance is on 19 July.